Bootstrap Business: How Can You Save Money On Gift Wraps? How Can You Save Money On Gift Wraps? Gift wrapping is a customary act of enclosing the valuable gifts to your loved ones in a lovely container and then wrapping with a glossy and attractive wrapping paper. There are many varieties of attractive wrapping papers available in the market, which will help add more charm to your gifts. A well-wrapped box may also be supplemented with a ribbon or bow to add to its ornamental value. The custom of using wrapping paper seems to have originated in ancient China who invented paper in the second century BC. Evidence was found of the monetary gifts being wrapped in the decorative paper during the time of the Southern Song dynasty. The envelopes of those times are called as chih pao. These types of gifts were believed to be given to government officials. In some other Chinese text, there is a mention about coarsest wrapping paper which is manufactured from bamboo fiber and rice straws. Even though Rollie and Joyce Hall of the Hall brothers founded Hallmark Cards, they didn't invent the modern concept of gift wrapping, but their innovations had surely been the paved way to the modern-day styles of gift wrapping. It's Hallmark, which popularized the concept of decorative wrapping of gifts. Whatever its origin and evolution is, gift wrapping surely has a positive influence on the recipients who get their loving gifts wrapped in this wonderful piece of paper. In all Western cultures, gifts are usually wrapped in special wrapping papers and also accompanied with a gift note with the sender and receiver's names and wishes. As we had seen above, the modern-day patterns of wrapping paper and wrapping styles were largely marketed by Hall Brothers. Now, you can explore Instagram and Pinterest to see thousands of options in terms of gift wrapping. Ranging from the mono-color red, white and green wrapping papers of one time, now you may find spectacularly colored wrapping papers of all styles and shades. Adding ribbons and bows are also a very common practice now to add more charm to the wraps. In Asian culture (especially Chinese), there is a huge significance for gift wrapping. Say, for example, Chinese believe that the red wrapping on a gift denotes luck as it is a very strong and vibrant color. They see it as a message for good health and happiness. Wrapping paper and boxes are largely used in Japanese culture also. One of the top choices they make is the traditional wrapping cloth named ‘furoshiki,' which is now globally popular. It is an eco-friendly and flexible alternative to traditional wrapping paper. Along with precious gifts, gift wrapping supplies are also expensive, and you need to be very diligent about it to get the best. There are standard rolls of gift-wrappers offered by Mr Gift Wrap, which may cost near to $10 or so per roll, and you may have to spend some additional bucks on ribbons and bows as add-ons. In fact, one option during peak gifting seasons or if you own a retail gift selling shop is to purchase gift wrapping accessories in bulk, which will offer significant cost benefits. 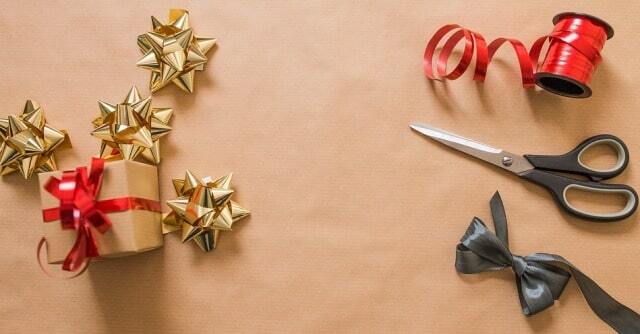 As gift wrapping for services like e-commerce is an inevitable need now, here are some smart tips to consider to save cost while planning gift wrapping. – Use Of Neutral Paper: If the requirement is limited, then instead of spending a big sum for cozy papers which may be destroyed once the gift is opened, you can try to purchase some plain white or brown butcher paper. You can try some further customization on it to give the best finish. – Wrap Your Gift In Another Gift: You may think of the creative approach of wrapping your gift in a piece of a decorative tablecloth or dish towel. In fact, it may not hold the traditional value of customary wrapping, but can be a fresh thought to apply. – Be Optimally Creative: While planning for wrapping materials, try to be more creative in terms of colors, designs, and also the wrapping styles to make it more effective. Loosen your imagination. – Wrapping Bulky Items: You need to be extra careful while wrapping bulky items. In fact, you may not have to wrap it if it is somehow impossible. Instead, you can get a picture of that item and get it neatly wrapped by hiding the real gift in the backyard or the closet for them to explore. – Recycling And Reuse: Wrapping papers, if handled properly while unboxing the gifts can be easily reused. It is possible to recycle also. Even if not the paper, the ribbons and bows used on the gift wrapping can be easily reused. If you have a high-volume wrapping requirement, then the best idea is to purchase wrapping paper in bulk to enjoy discounts. The gift item retailers know how this works well for them during holiday seasons. By purchasing wrapping paper in large quantities, they may get it at much better prices than the retail department stores. So, instead of buying single rolls of wrapping paper, one can save several dollars each time on buying 10 or more roll packs together. There are bigger sized rolls also which come at a lesser price. However, there is a common assumption that lower price may stand synonymous to low quality. This is not always true. Quality obviously plays a crucial role while making purchases and with higher quantity orders, the prices tend to come down naturally. The manufacturers and the sellers justify the lower price with reduced package and handling costs and also the margin they gain over bigger quantities. So, even when buying a single roll or in bulk, there are no essential differences in the quality of the wrapping papers you buy, but the change is made with the quantity. When you plan to wrap papers for Christmas season or other festivity seasons on planning for bulk gift delivery or selling, then it is worth to make an investment in the bulk purchase of holiday wrapping to fill your stocks with a one-time purchase and then get a better return on investment over time. As paper can be stored easily and without causing any damage for long, you need to have to worry about the expiry of the product also. I hope you enjoyed this blog post about how you or your company can save money on gift wrap and other present wrapping supplies. Interested in more articles about gift-giving for holidays?